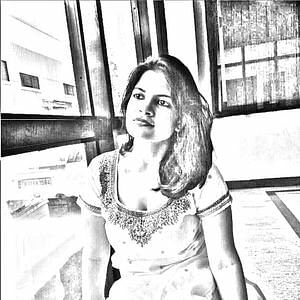 Sonali Shenoy is a feverish optimist, doggie lover and romantic. She takes word play very seriously, and derives a secret thrill from puns in conversation that her colourful sense of humour. Also she\'s a sucker for a good plot line on TV and secretly fancies moonlighting as a detective. From kimchi to curry, here are five ways you never imagined a watermelon! You are about to lose your ‘rind’ over this! These fans have in-built speakers so you can turn up the volume and literally 'chill' at the same time! Fanzart’s designer fans have in-built speakers, multi-colour LED settings and crystals from Austria! That Mallu Joint serves up a 'meen' feast and we can't wait to go back for more! This Chennai pastry chef's Mandarin cheesecake recipe is to die for! 3 in one: LiBarrel has three menus, three different decor styles, one for each floor!